After giving out the small gift package, I realized my Foodie friends needed a larger size & this is perfect. My husband and I bought the mini gift pack while visiting . I used the kiawe smoked salt with pepper only on a rib roast. Absolutely delicious. Will be buying more and we tell everyone about your product. These 1.5oz jars are a great foodie gift. 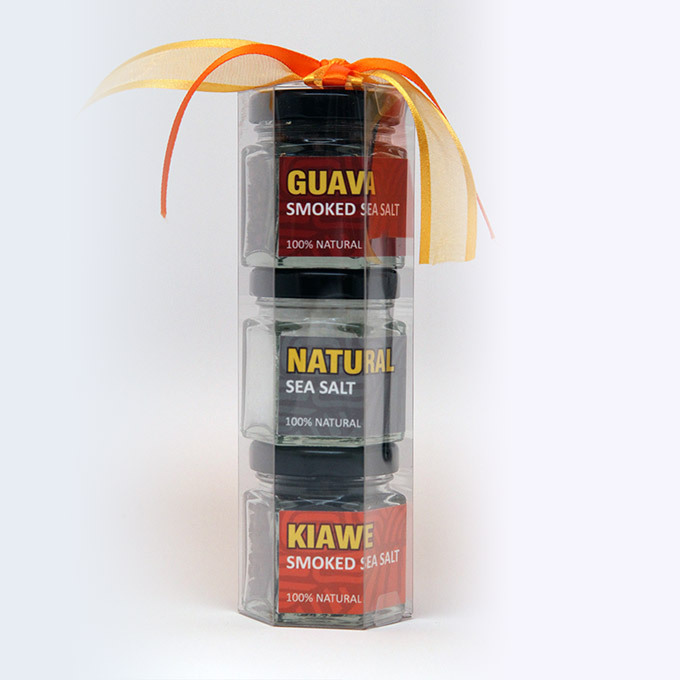 It gives a people chance to try our salts to see which one is their favorite. 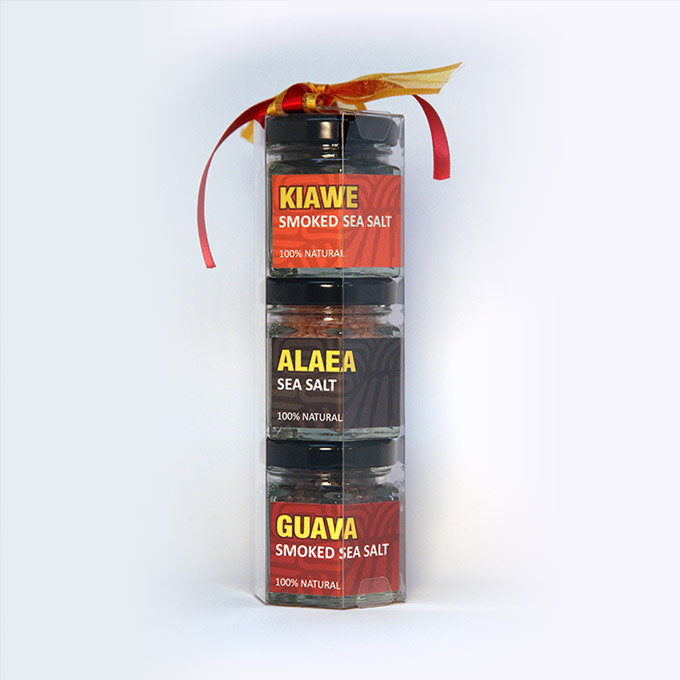 These 1.5oz jars are a great foodie gift. 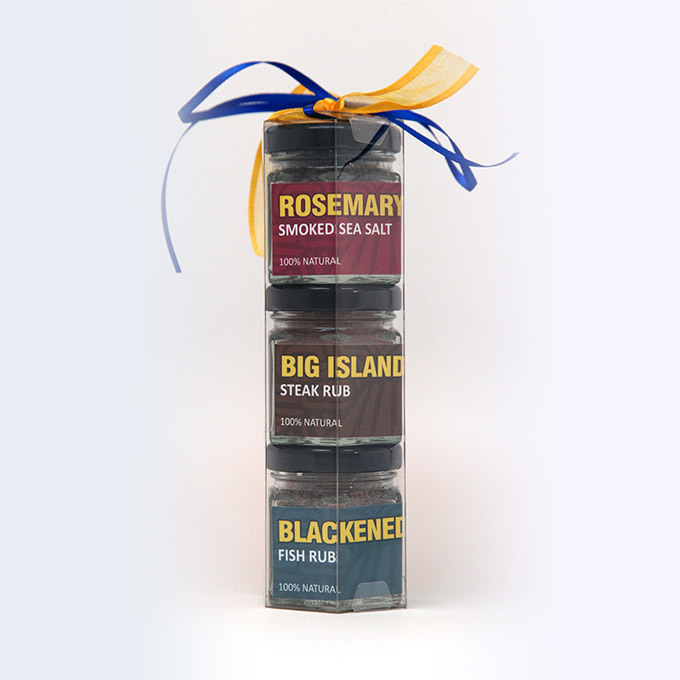 It gives a people chance to try our rubs to see which one is their favorite. 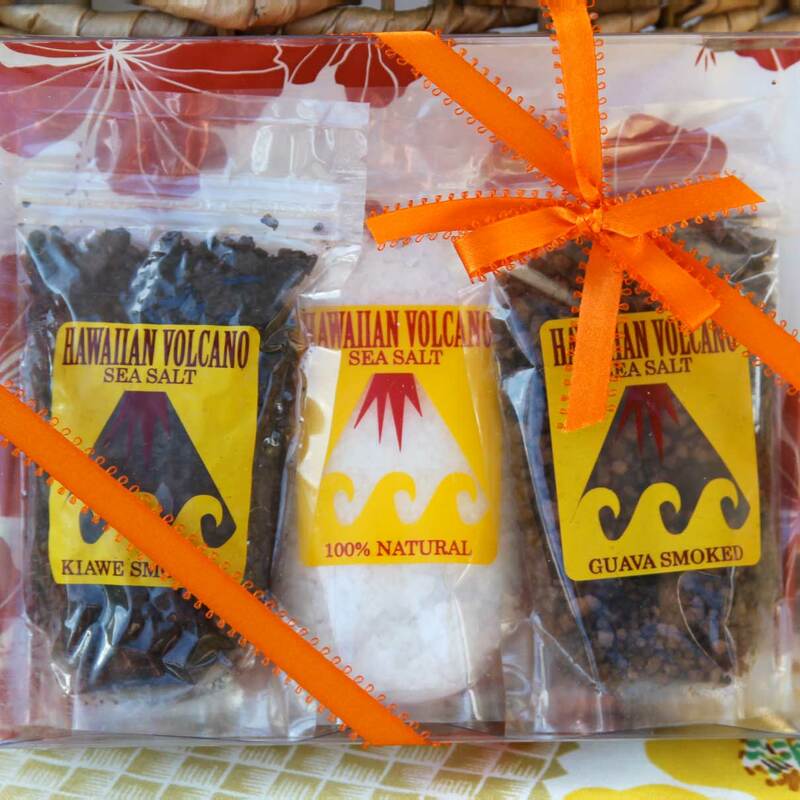 Small Gift Box with one of each of the featured flavors; Natural, Guava & Kiawe, in 1.5 oz. jars.